In mid 2012 we, the new owners, acquired the Songbird Hearing brand so we could more easily reach and quickly fulfill our mission to provide affordable hearing aids to those who need them. With a rich history of product innovation and customer service, Songbird's position as one of the best hearing aid providers, provides a strong foundation for our plans of continued growth and an expanded product line. 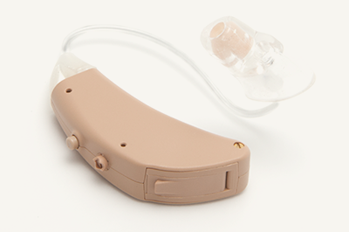 Improving on the already strong Songbird Ultra Hearing Aid, the new and improved Songbird Ultra 2.0 hearing aids now have 100% digital processing, dynamic feedback suppression, more channels for clearer audio processing and a full six month warranty. We are confident that you will love the new Songbird experience. So confident that we back it up with our 45-day Satisfaction Guarantee. If you change your mind or want to return your purchase for a refund, simply ship the items back to us within 45-days from the date of your purchase. Once we receive your shipment, we will issue a refund for the purchase price of the merchandise (less shipping & handling). Please contact our customer service department at 1-800-647-5560 for instructions.